Wow—it is finally spring in earnest! People are out and about, and you can actually recognize them now that the hooded parkas have been retired. Birds are gathering twigs for nesting. And everywhere you look there is green, green, and more green. But of course, along with spring’s return and our eagerness to get outside and enjoy it, we also have to cope with the usual unwelcome suspects, including pollen, mould, and mildew, and other airborne toxins. This all adds up to make spring the perfect season to get your air ducts professionally cleaned. Why? Read on and we’ll tell you! If you are like the majority of Canadian homeowners today, you probably have a central ducted HVAC system. This means that your temperature-controlled indoor air, whether cool or warm, is conveyed to every room in your home by means of a hidden system of air inside ducts that dispense air through air registers in each room. Making sure air is distributed evenly from room to room. Removing stale air from your home and sending it outside. Re-oxygenating your home with fresh incoming air. While you can’t see the network of air ducts (since it is hidden from sight behind the walls of your home), you know it is there by the presence of air registers in each room. Depending on how your home was built, those registers may be in your ceiling, on the walls, or in the floors. They signal the presence of an air duct network that connects from that room back to your central HVAC system. There are also exhaust air ducts that convey stale air out of your home. These air ducts connect from your HVAC system to the exterior of your home via exhaust air registers or vents. Since you can’t see your air ducts at all, let alone see inside them, how can you know they need cleaning? Here, it helps to think about the last time you went out of town for a few days. When you got back home again, did you notice a smattering of dust just starting to build up on surfaces inside your home? Now, imagine not dusting those surfaces for a whole year. How thick do you think that dust build up might become? 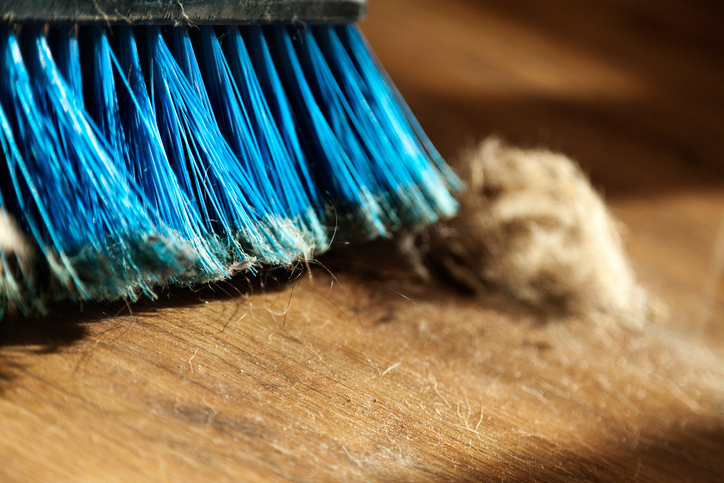 Now think about not dusting any surfaces in your home for a decade. Do you think you might see furniture literally start to disappear under piles of dust? For most homeowners, this is pretty much the state of their indoor air duct system. And mostly it is a simple lack of awareness—what is often called “out of sight, out of mind” syndrome. This is why most Canadian homes have no record of having ever had their indoor air duct system professionally cleaned, even if that home was built 10 or 20 or 30 years ago. Why Clean Your Indoor Air Ducts Now? So now that you have a mental picture of ten years of trapped, built-up dust inside your home, imagine instead that all that dust and debris is packed inside your indoor air ducts. Each time your HVAC unit or furnace kicks on to send air through your air duct system, it pushes some of that trapped dust and debris out with it through each room’s air registers. Along with this old trapped dust, debris, pet dander, insect skins and feces, mould and mildew spores and pollen, you now have the new crop of spring pollen and mould to cope with as well. This makes spring the perfect time to have your indoor air ducts professionally vacuumed out, cleaned, deodorized, and sanitized. Why spend one more spring sniffling and snuffling inside your own home when you could be happy and healthy instead? We currently offer three indoor air duct cleaning packages based on your needs and preferences. The entire service typically takes three to five hours, depending on how big your space is. When we are finished, it will be like you have just had a brand-new, squeaky clean air duct system installed—our clients often tell us they can literally smell the difference! Here at Shipton’s Heating & Cooling, we have known some of our wonderful clients for nearly our whole lives! As many of you now know, we are a third-generation family-owned and -operated local business, and we have been living and working in the Hamilton and surrounding areas for nearly a century now. About two decades ago, we decided to launch our sister company, Clean Air Solutions Hamilton. 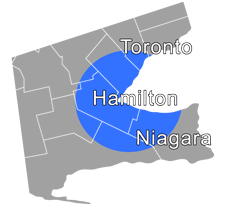 Both companies now work together in the Hamilton, St. Catharines, and Oakville areas to provide comprehensive heating and cooling solutions that offer the highest quality and purity of indoor air. We launched Clean Air Solutions Hamilton to meet a growing need for personalized indoor air quality solutions. We wanted to be able to offer you the ability to control the purity of your indoor air to the level your family needs and deserves. Today, we have many special air quality services and products that can balance your seasonal indoor air humidity levels, provide air quality testing, filter and purify your air for special health needs, ventilate safely to ensure fresh and oxygenated indoor air, and so much more. Give us a call at 905-549-4616 to learn more or set up your consultation!